89 x 46 x 36 in. 30 1/8 x 41 1/2 in. 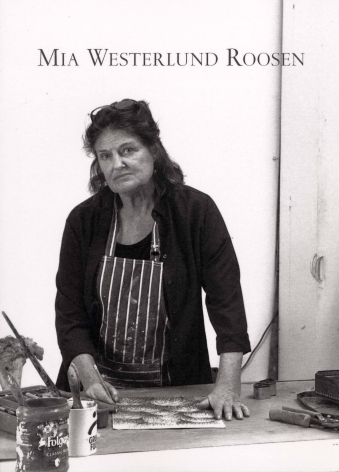 On Thursday, September 7, 2006, the Betty Cuningham Gallery is pleased to open an exhibition of new works by sculptor Mia Westerlund Roosen. Westerlund Roosen’s latest large scale sculptural works emerge as a fresh departure from her massive concrete and lead sculptures as she hones her ability to direct and animate her materials. In the exhibition’s catalogue essay, Susan Harris observes Mia’s works as being “abstract, at the same time suggestive of the human body, they are at once expressive and awkward, fixed and buoyant, solid and open, humorous and serious.” This exhibition seeks to capture not only the sense of movement embodied in individual sculptures, but to capture the movement in Mia’s career, as she deviates from her previous heavy, earthen pieces, and moves toward those with a greater sense of freedom. In doing so, Westerlund Roosen’s sculptures both capture and defy the nature of their materials. Made from resin, felt and cast concrete, a recombination of materials used over the course of her career, Mia’s works capture moments in time. Her life-sized creatures are affected by some invisible force - felt and resin succumb to gravity and heat, liquefying and pouring from their source, only to be frozen as torrents jump from the base in Little Falls and Hoosick Falls. These same materials tumble and crawl across the floor as though alive in Breaker and Dervish I, and in Carmelite I and Dervish II, the works appear caught in an updraft, about to take off. 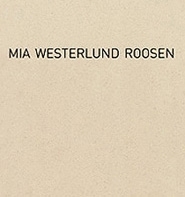 Mia Westerlund Roosen has been exhibiting since the early 1970’s. She has received several prestigious awards, including a grant from the National Endowment for the Arts, a John Simon Guggenheim Memorial Foundation Fellowship, and a Fulbright Fellowship. 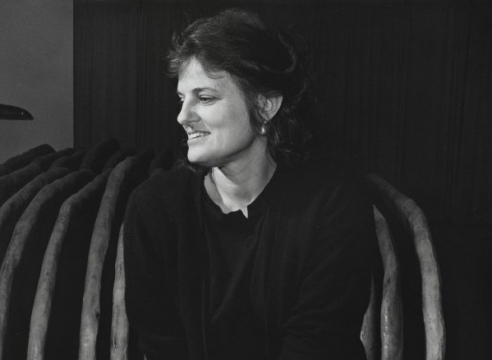 Her work can be found in numerous public collections, including the Metropolitan Museum of Art, New York, NY, the Albright-Knox Art Gallery, Buffalo, NY, and at the Storm King Art Center, Mountainville, NY, where her work is permanently installed. A native of New York, Mia currently divides her time between New York City and her studio in Buskirk, NY. Five Points Gallery in Torrington Connecticut is announcing their upcoming show. 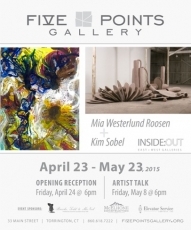 Featuring Mia Westerlund Roosen with Kim Sobel.